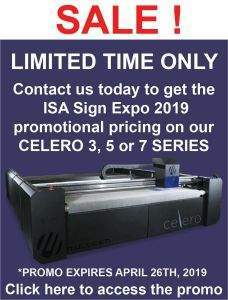 5-Axis plasma cutting is soon to become the industry standard, and with the price point dropping on 5-axis torch heads, now is the time to invest in this money and time saving technology. The 5-Axis torch head opens up a whole new world of opportunity for those in the fabrication industry who are seeking more versatile cutting capabilities. MultiCam is proud to offer this technology on both our 3000 and 6000 CNC Plasma Cutters. What could this added option really do for your business? The answer is more than you may think; with the Canadian Manufacturing industry being increasingly more competitive, those that can differentiate their product offering will continue to succeed. Movement of the torch head along the C-Axis and A-axis makes up the full 5-Axis rotation, delivering the essential bevel cutting to your operations. CNC Plasma systems also offer the best-quality cuts with faster cutting speeds and a reduced taper angle. 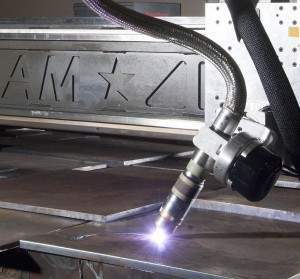 Modern plasma cutting equipment can deliver bevels capable of streamlining welding and assembly activities down the production line. 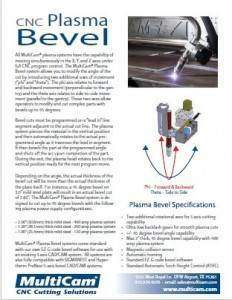 Bevel cutting capability enables later production activities to become much easier, in turn lowering your companies operating costs, and lead time. 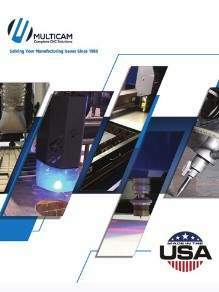 These are crucial advancements that bring businesses ahead of their competition as customers are always attracted to lower costs and quicker turnaround time.When manufacturers are taking advantage of these technological advancements in bevel cutting, their increased cutting capabilities provides a competitive advantage. Watch 5-Axis Plasma in Action!